ACCRA, GHANA (AP) — U.S. first lady Melania Trump is meeting over tea with Ghana’s first lady, Rebecca Akufo-Addo. 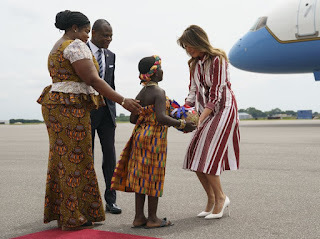 Mrs. Trump arrived in the West African nation on Tuesday to open her first extended solo international tour. It’s also her first visit to Africa. A spokeswoman for Mrs. Trump says the first ladies exchanged gifts: a White House tray in a signed leather case for Akufo-Addo and Kente cloth and artifacts for Mrs. Trump. 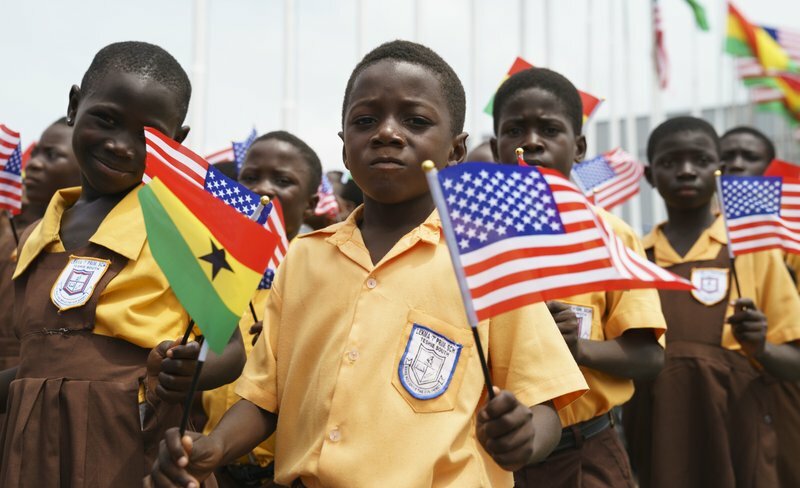 The first ladies are meeting privately at Ghana’s presidential palace, Jubilee House. Mrs. Trump is on a five-day tour with planned stops in Malawi, Kenya and Egypt. 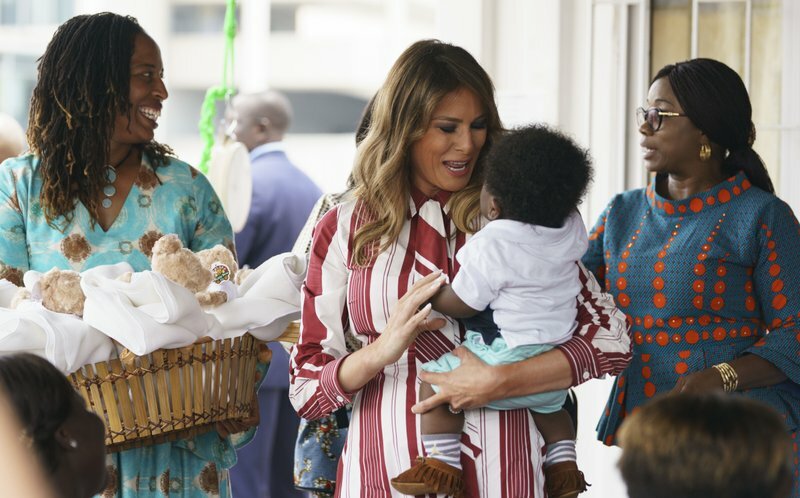 Earlier Tuesday she visited a baby clinic in Ghana to highlight her interest in child welfare. She toured wings of the hospital and distributed gifts of teddy bears wrapped in baby blankets.